Playing with your ferret is more than just rewarding. It provides stimulation and it builds your ferret’s relationship with you. And it also gives you a good sense of how your ferret behaves, which can act as an early warning if some health issue is developing. 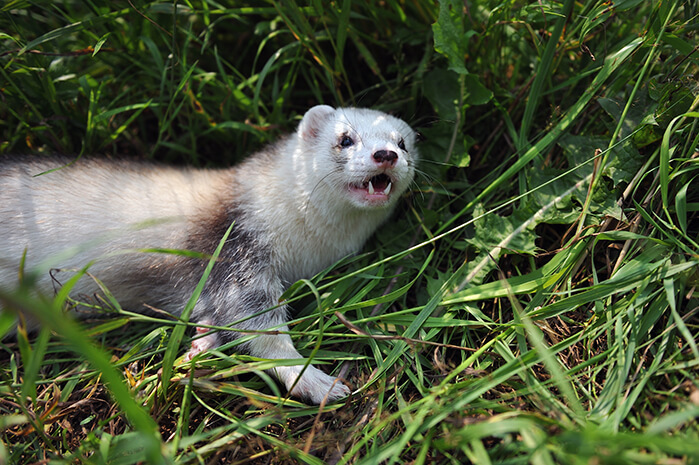 Ferrets are very intelligent animals and even outperform dogs in some tests. This makes providing them with stimulation very important, and without it your ferret can become stressed. This intelligence also makes them a lot of fun to play games with. Don’t expect your ferret to play it safe or know her limits. Ferrets are bold and inquisitive and won’t always do what is best for them. So it is important to supervise your ferret when playing and consider their limitations when making up a game. Ferrets have evolved to be good at hunting in tunnels. But this has meant some compromise in skeletal strength as it became elongated. Ferrets need to be handled gently so as not to risk injury. Unfortunately they can’t take the sort of falls that cats can. Ferrets also have strong jaws and sharp teeth, making it easy for them to chew bits off things. But their digestive system is not as hardy as a dog’s so can become blocked. Even the wrong diet can cause bowel issues, so make sure toys are strong enough, and treats are good for their diet. And just as you would when playing with a person, pay attention to how they are responding. If your darling hisses or does not want to do something, it is important to respect that and take that game off the playlist. But if your ferret has just become bored, rest the game for a few days or more. And then try and change it before reintroducing it again next time. 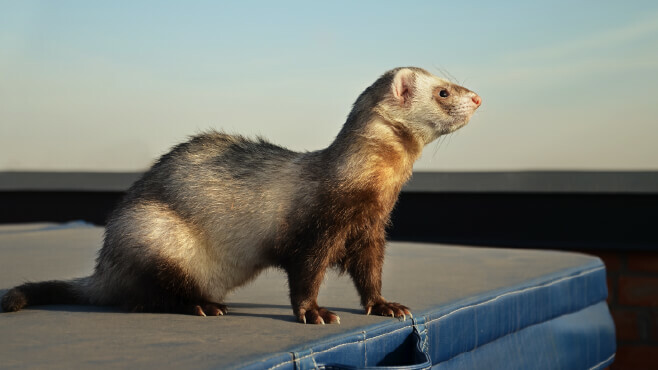 When making up a game to play, keep in mind that ferrets are natural hunters, love tunnels, and have a strong sense of hearing and smell. 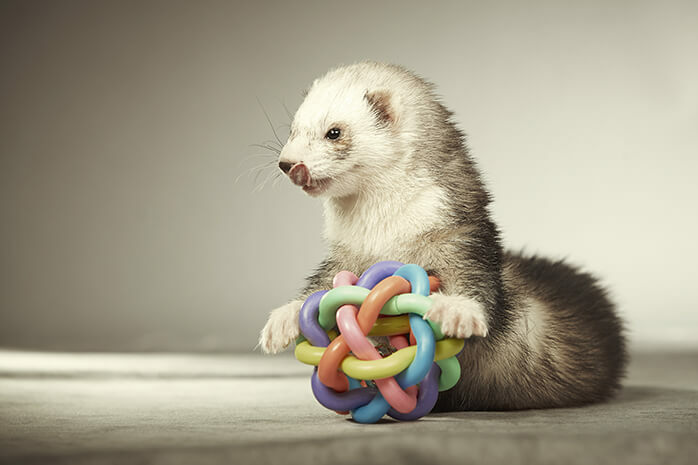 These talents are why ferrets love curiosity games, tunneling games, and chasing games. Taking a moment to call on your inner ferret when planning a game will increase your sense of what they will like and develop a better game for them to enjoy. Remember all the senses when making up curiosity games. 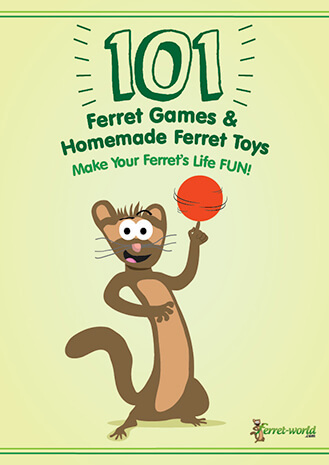 These are games that encourage your ferret to investigate, explore, or search for something. This could be a treat locked in a specially designed toy. Many cat toys are available and suitable for this. Or it could be hiding something that makes a sound, smell, or movement. Ferrets are smart, and once they’ve solved a puzzle will soon remember how it is done and get better at it. So regardless of the curiosity game you invent, you’ll need to keep changing things up. A good example of a curiosity game is hiding a treat behind a number of obstacles. Try hiding a smelly treat in jar with a lid loosely on. You might need some neatly drilled holes in the plastic lid. But a bit of smell on the outside might be enough. Then put the jar in a shoebox with a weight on it. And then hide all of that under a blanket. If the game seems too hard, just be patient. Then if it turned out to be too much of a challenge, let your ferret watch you hiding it. That should be enough to get them going. A tub of fun can also be a ferret favourite. Get a strong tub, and put some ferret safe filling in it. This could be dirt, balls, leaves, or some other safe material. Avoid things that should not be eaten. If filling with water, keep it shallow enough that your ferret can keep its head out without swimming, and try offering some ice cubes as water toys. Remember ferrets have tiny bodies and can get too hot or too cold very quickly. Keep your eye out for things to hide and things that are safe to hide stuff in. But don’t limit yourself to hiding things. 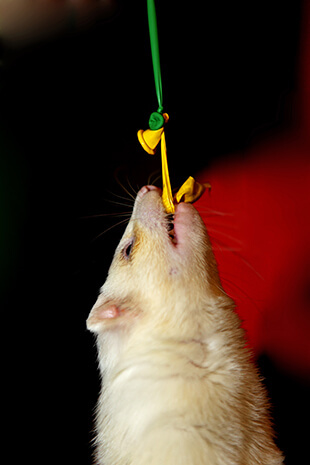 Anything that stimulates your ferret’s senses is likely to work as a curiosity game. Whether that’s storing a loved toy in some leaves for a while to give it a new smell, or rolling a ball around with a bell in it. 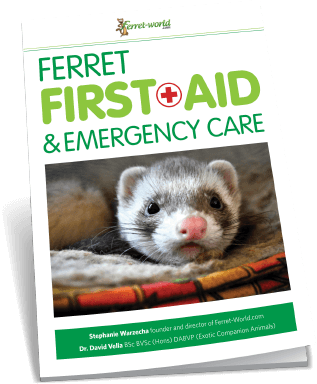 If you’ve ever left your ferret on your bed and then fluffed your sheet over her, you’ll know how exciting this can be for them. One of the reasons they love this is that it is a tunneling game. Once they’re under the sheet, they have to find their way out. Exploring an environment where the options are limited is fun for ferrets. You can make fun places out of blankets, tubes, boxes, or anything that safely limits their options. To make it even more exciting, put something in there to seek out. This does not have to be food. Instead it can be a toy that you’ve had out of rotation for a while, or something new and curious. Or wait until they are inside and then make a curious sound somewhere outside for them to find their way to. And don’t be shy about getting down on the floor with them and joining in the fun. They love it when you come down to their level. Ferrets have a strong hunting instinct. This can be broken down into the many stages that are involved in a hunt. The first is spotting the prey. 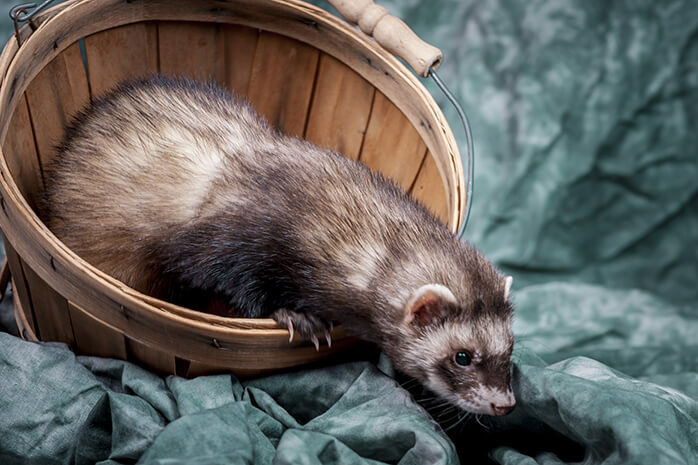 Wriggling a chaseable object, or rattling it will grab your ferret’s attention by calling on this ancient instinct. This can be a long game on its own, just by making it hard for your darling to tell where the stimulation is coming from. Wait until they are distracted and then do it again. By dragging some chaseable toy around, you’ll quickly hook into their desire to catch anything that runs away from them. They are fast, and to make the game fun and last you’ll have to be fast too. It takes a lot of energy to wear out a ferret, but they don’t like to give up the chase and can be worn out so pay attention and give them a win if it looks like it is getting too much. 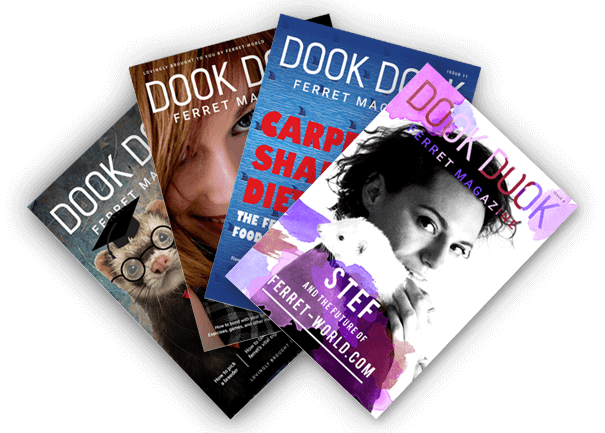 Tug of war and dragging your ferret around hook into their capture and attack skills. So if you’ve got problems with nipping and biting, make sure you keep this in mind if planning a game like this. That does not mean you shouldn’t do it. Teaching a ferret not to nip is not intended to stop any activity with its mouth. It is about teaching what is appropriate to bite and what is not. So just take care to let your ferret calm down and focus on something else before introducing hands or other ‘don’t bite’ problem areas after playing capture games. Destroying things is the last sequence of the hunting instinct. Maybe this is not something you want to encourage by teaching it through play. But if it is, just make sure that the items that you hand over for destruction are designed for it and are safe for ferrets. Pay particular attention to avoiding little bits that might be swallowed and then cause bowel obstructions or other issues. 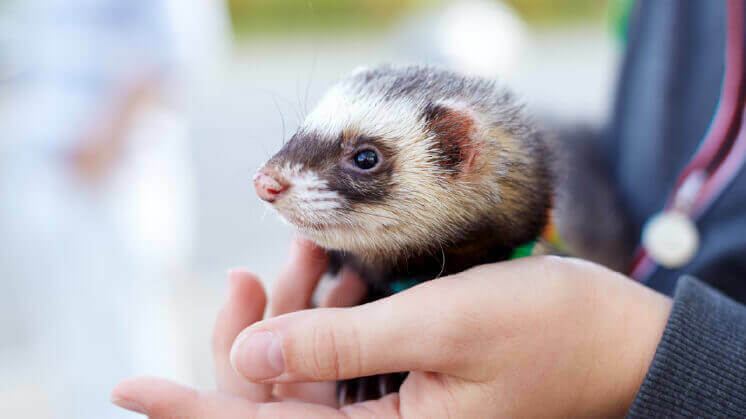 By focusing on your ferret’s abilities, instincts, and needs, you’ll be able to invent or discover many different games to make your ferret-time healthier and more rewarding. Keep notes of what works, and what doesn’t as you build a list of games to play. Every ferret is different and not all ferrets like all games. And just like us, they can be in the mood for something one day, and just not feel like it the next day. But by mixing it up, trying new things, and returning to loved favourites, you’ll soon build a routine of fun that never gets boring for you or your ferret.